When it comes to tipping, millennials are the worst. That's the conclusion of a survey released Monday, which found young adults to be far less generous than older generations when it comes to rewarding their servers at restaurants. Ten percent of Americans aged 18 to 37 said they routinely leave no gratuity for restaurant servers, while almost 1 in 3 said they typically leave less than 15 percent, according to the CreditCard.com findings. Americans 65 and old are better bets for those who rely on tips to earn a living, with almost 55 percent of senior citizens saying they tip 20 percent or more at restaurants. Just 35 percent of folks under 30 said they were equally generous. When given an array of tipping options, such as one might find at a coffee shop, food truck or in a taxi or ride-hailing service, about one in six millennials said they regularly pick the lowest figure, and nearly one in five select no tip. Young adults on average make less than those further along in their careers, but income alone is unlikely to be the sole factor behind the findings, based on an online survey of 1,000 adults during a three-day period in May. Younger Americans are more likely to be supportive of getting rid of the practice of tipping altogether, an approach that is being tried at some restaurants, but is by no means a major trend. Tipping, a practice treated as standard in the U.S. but not so much in other countries, is increasingly being questioned, given research that shows a server's age and appearance has much to do with how much one earns in tips. 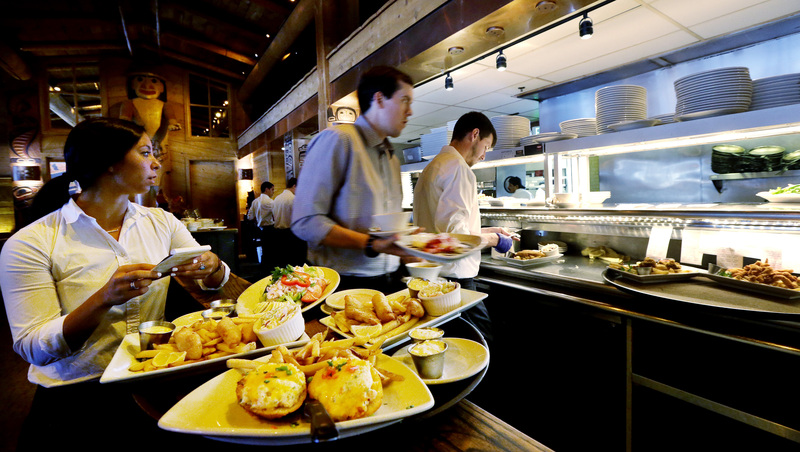 "We're seeing younger adults tipping less, and even showing a greater preference toward eliminating tipping altogether, even if it means paying more on the bill," said Matt Schulz, a senior analyst at CreditCard.com. Other demographic groups that are more open to doing away with tipping includes Americans who make more than $75,000 a year and those with college degrees, with 26 percent of the former in favor of the idea and 30 percent of the latter. The Emily Post Institute calls tipping "one of the most stressful and confusing aspects of etiquette today." The longtime voice on etiquette recommends tipping 15 to 20 percent on the pre-tax tab at sit-down restaurants.